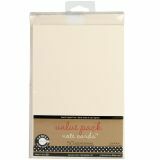 Value Pack Cards & Envelopes 4"X5.5" 50/Pkg - CANVAS CORP-Value Pack Cards & Envelopes. A great start to making your own cards! Add designs, saying and more! The possibilities are endless. 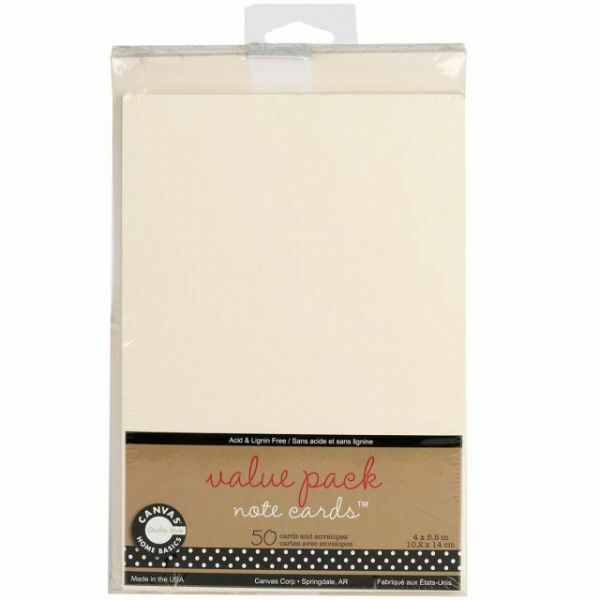 This package contains fifty 4x5-1/2 inch cards and fifty 4-3/8x5-3/4 inch envelopes. Acid-free and lignin-free. Made in USA.